Last year's Honor 8 brought with it impressive specs, a premium design, and great cameras. What let the device down though was bloated software and the relatively high price (for what it offered). The Honor 8 Pro is the successor to the Honor 8 and is quite a comprehensive update - much more than what its Pro moniker indicates. In fact, Huawei could easily have named this device the Honor 9 and got away with it. Huawei Honor 8 Pro smartphone has been officially launched in India, and the smartphone will be Amazon India exclusive. Honor 8 Pro price in India is Rs 29,999 and the first sale will be on July 10 as part of Amazon Prime day, but this sale only for Amazon Prime members. Honor 8 Pro official sale will start from July 13 on Amazon India. The Amazon Prime Day sale will also offer 15 per cent cashback to HDFC debit and credit card users. Honor 8 Pro’s highlight is the dual rear camera system, and this one has 12MP with the 12MP camera on the back. The Honor 8 Pro also sports a larger 4000 mAh battery, which could give it an edge over the newly launched OnePlus 5. Honor 8 Pro will also come with the 45GB of Vodafone free data offer, which gives users 5GB extra data every month. The Honor 8 Pro features a 5.7-inch QHD 2K display of 1440x2560 pixel resolution and is powered by Huawei's own Kirin 960 processor coupled with 6GB RAM. The smartphone offers 128GB of internal storage with an option to expand up to 256GB through a microSD card. Honor 8 Pro comes with hybrid dual Sim card slots and runs Android 7.0 Nougat skinned with EMUI 5.1 OS. A dual camera is on the rear, with two 12-megapixel shooters one is for monochrome and other an RGB lens. The front camera is 8-megapixels for selfies and video calling. Honor 8 Pro will be directly competing against OnePlus 5, which has been launched in India recently. The smartphone is priced at Rs 32,999 for the 6GB RAM and Rs 37,999 for the 8GB RAM model. The flagship phone comes in 64GB and 128GB internal storage, respectively. 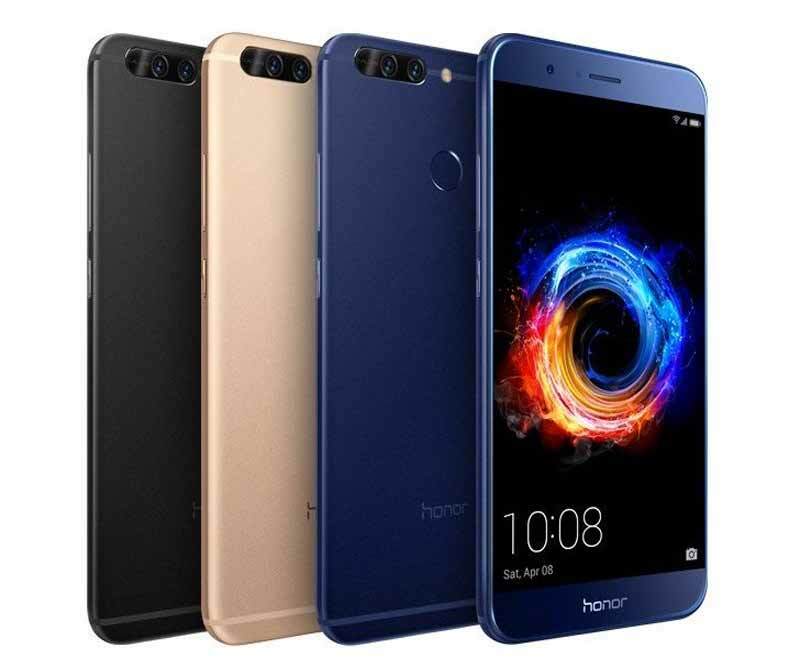 Honor has been a popular brand in China, however, the company is yet to make its presence felt in India. Honor faces some stiff competition from the likes of Xiaomi, Oppo, Vivo, OnePlus, and even Samsung.